The singing milk lilts a silken tune"
Fáilte go dtí an suíomh amhránaíochta seo a chairde. Hello and welcome to the Tim Dennehy official website. 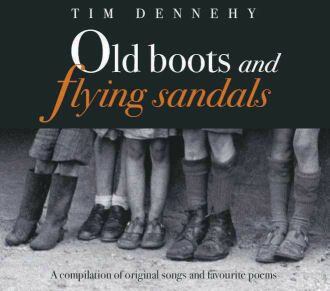 We hope that you will take the time to enjoy Tim's new album, "Old Boots And Flying Sandals ", a compilation of original songs and favourite poems. This, his sixth album, presents a compilation of his own original compositions and poems set to music. Some of these have appeared on previous albums, some are newly arranged while some pieces appear here for the first time. All have been woven from deeply felt emotions, penned from an inner impulse and carefully honed at numerous gatherings of singers, musicians and poets over the last thirty years. These songs have been shared with audiences all over Ireland and throughout Europe and the United States where Tim regularly performs at festivals and teaches at song workshops. The themes are many and varied, from the deeply personal, through the environmental, to the love and loss of the human experience. The songs join the past with the present, not in an over sentimental fashion, but in a spiritual linking of time, imagination and love underlining the power of music, song and poetry. 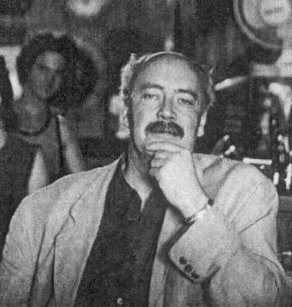 Words and music take flight here whether they are the words of poets Shelley of the seventeenth century or Nuala Ní Dhomhnaill of the twenty-first or indeed Tim's own words describing a perfect summer soundscape or a chilling charred Chernobyl. Leave the old boots aside for a while then and allow the intensity and passion, the gentleness and love take flight through the lyrics and music of these songs composed and sung by "one of the finest traditional singer- songwriters of the present time".